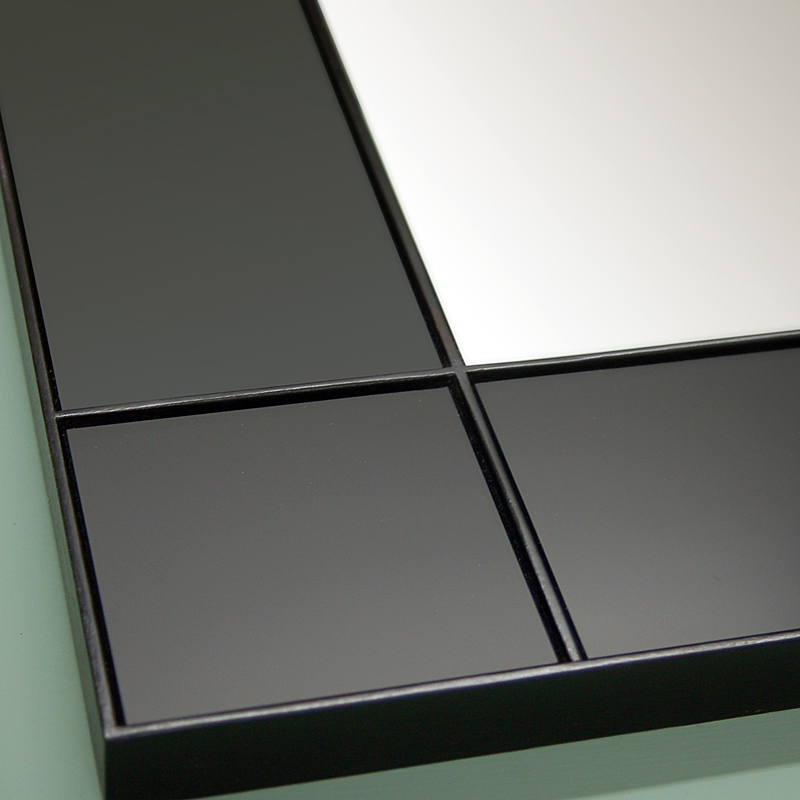 Most mirrors, whether plain or antique, can be supplied bevelled. 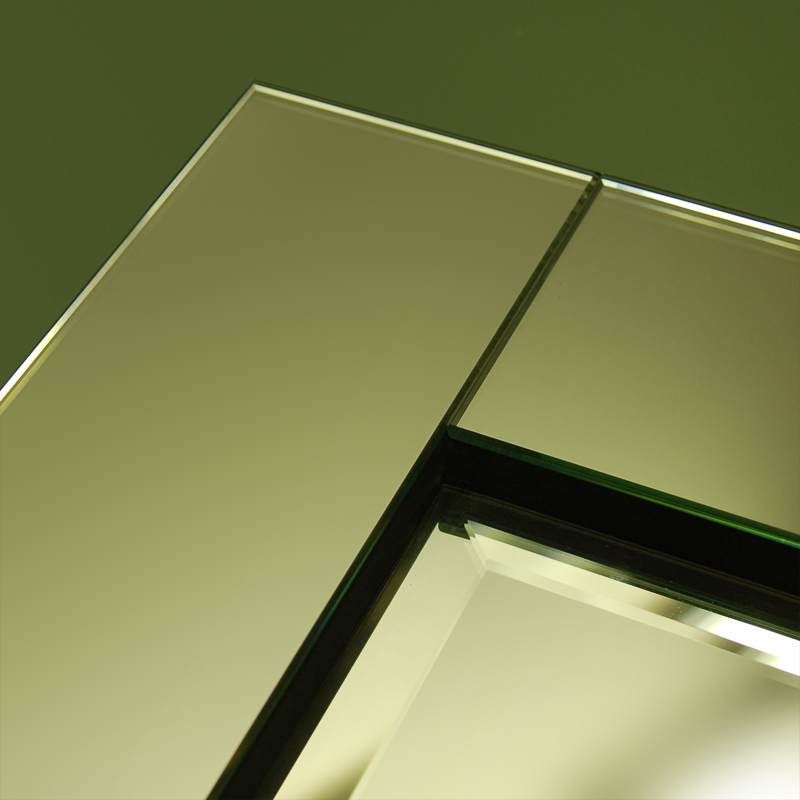 Bevels normally range between 6mm and 35mm wide, the angle being more pronounced the thicker the glass. 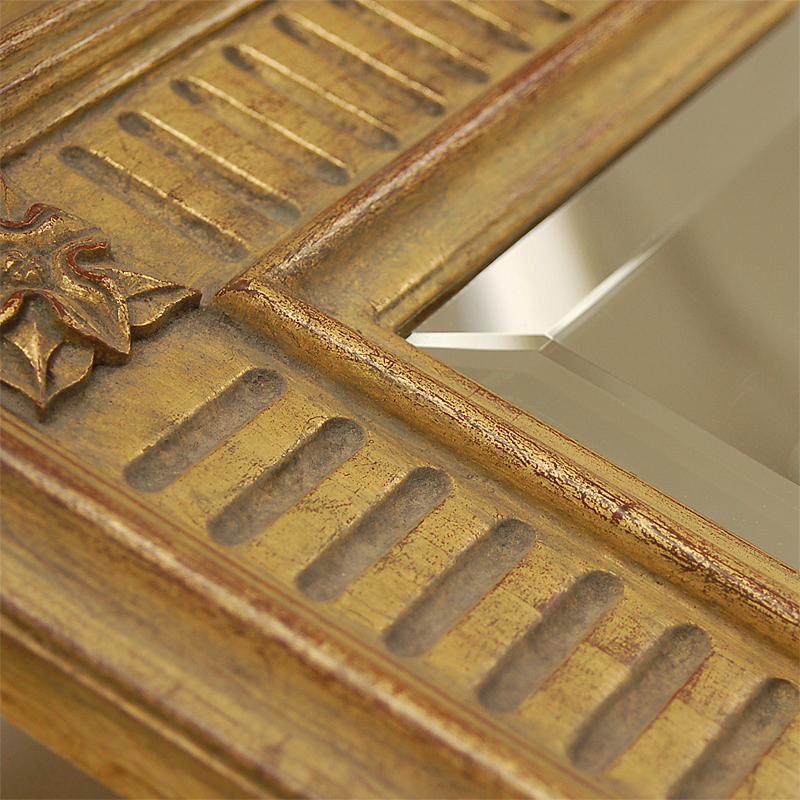 Detail from a distressed antique multi-pane mirror with 17mm bronze pyramid detail on the mirror intersections. 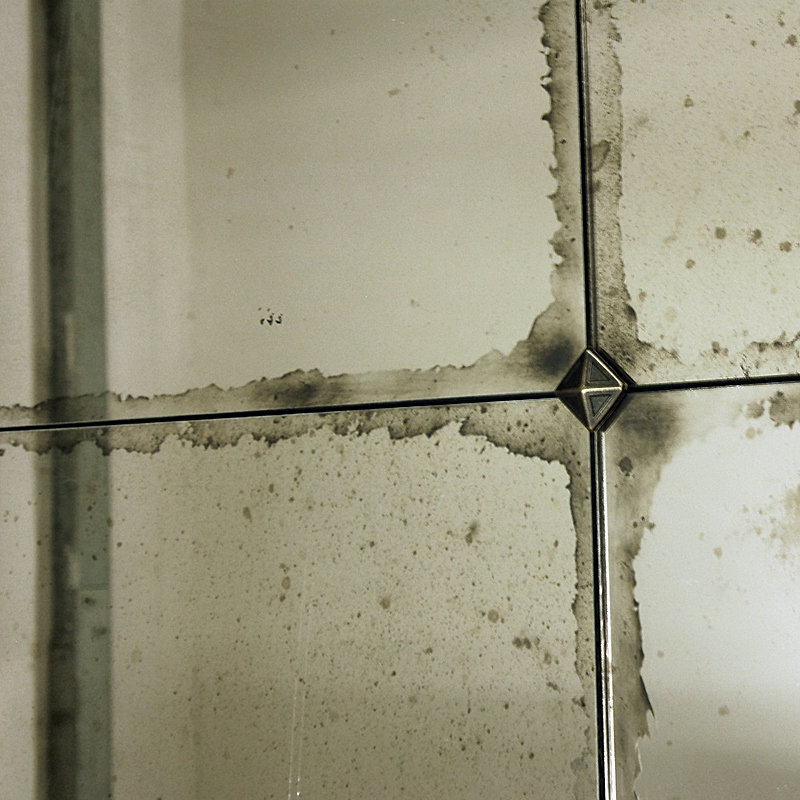 Where the edges of the glass can be seen, but a bevel is not required, polishing gives the glass a clean sharp finish. For use in conjunction with or just on frames. The glass can be coloured to specification.